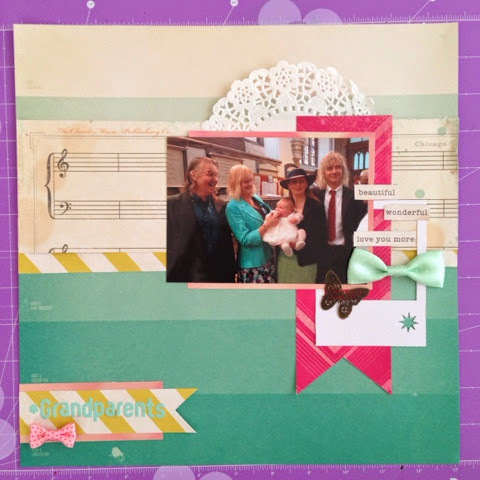 I chose a picture from Boo's Christening to go into her album and made this layout of her with her grandparents, I love the expression on my dads face! I went with papers from the Maggie Holmes Flea Market collection as they picked up the colours in my mums outfit. 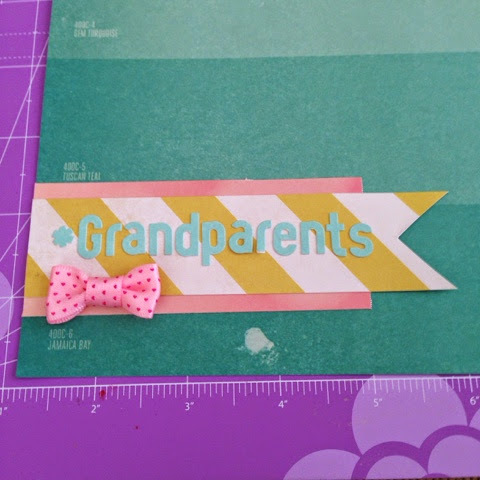 I also used bows from the same collection, probably the best embellishment I've ever brought as I only have two left now! 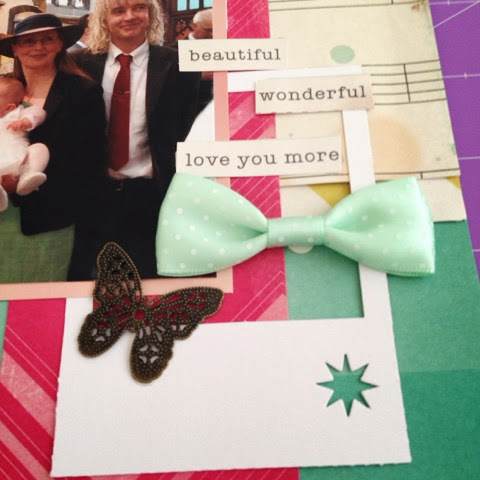 The butterfly is Maya Road and came in a kit, as did the frame from Jillybean Soup. I then used Elle's Studio alphas for the title.